Encapsulation or self-assembly of conducting polymer within the channels of mesoporous silica is one of the ways to prepare new nanostructured materials . 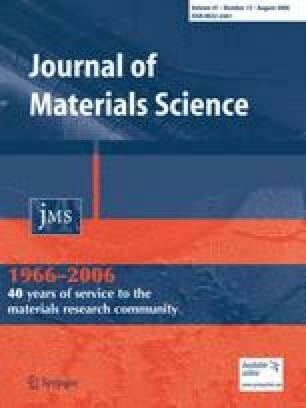 The resulting materials may have unique nanostructures and properties controlled by host-guest interactions, as well as new potential applications, such as in nano-scale electronic, optical devices  and electrorheological (ER) fluids . For example, stabilization of conducting polyaniline filaments with mobile charge carriers in mesoporous silica (MCM-41) represents a step toward the design of nanometer electronic devices . In this area, Qiu  et al. found the impedance of polyaniline/SBA-15 (SBA-15 is another kind of mesoporous silica with larger pore size and thicker pore wall compared to MCM-41) composites more sensitive to humidity than that of bulk polyaniline, and Choi et al. reported a composite material with conducting polyaniline in MCM-41 channels showing interesting ER properties. This work was supported by the National Science Foundation of China (20236020, 20176009); the major basic research project of Shanghai (04DZ14002); the financial support of 973 program (No.2004CB719500). The authors also wish to thank to the Ministry of Education, Youth and Sports of the Czech Republic (MSM 70 88352101) for financial support.